Interfloor will showcase new contemporary looks for its market-leading heritage brands Tredaire and Duralay at this year’s BGNFS at Cranmore Park, as well as the latest additions to its sales and marketing support package for retailers. Top-selling Tredaire, which has been on the market for over 50 years, and Duralay, the contractors’ brand of choice for more technical applications in the home such as under wood flooring and with underfloor heating, have undergone a brand refresh to make them more appealing to today’s style-conscious consumers. Interfloor has also introduced more contemporary-styled POS materials for both brands, including a merchandising stand, to enhance the in-store experience. 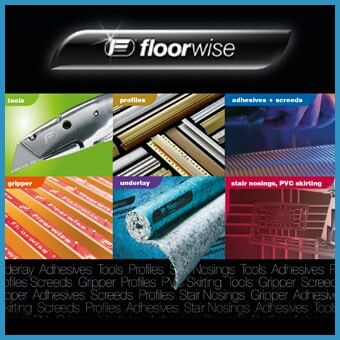 Interfloor’s John Moodie said: “In a tight market for margins, underlay for carpet and hard flooring offers retailers one of the best opportunities to add value to every sale – with good profitability, trade-up potential once benefits are understood, and high customer satisfaction levels. Tredaire is renowned for its underfoot comfort and adding warmth and cosiness to any room, giving an experience akin to “treading on air”. With many homeowners opting for soft furnishings which create a feeling of luxury, branded Tredaire Polyurethane Foam (PU) underlays including Sensation, Ambience and Citra are popular choices. The Duralay Timbermate range of specialist underlays for laminate and wood flooring includes the best-selling sponge rubber brands Timbermate Excel and Silentfloor Gold which can reduce in-room noise by 30 per cent. Duralay Heatflow underlays have very low ‘tog’ ratings, which allow the warmth generated by underfloor heating to pass quickly into the room for both carpet and wood or laminate flooring. They conduct more heat than other underlays, making them the ideal choice for installations with underfloor heating, bringing greater heating efficiency and the potential of reducing heating bills. With almost 1000 flooring accessory products in its market leading portfolio, Interfloor is a one-stop-shop stocking everything needed for the installation of floor coverings, including top-selling brands Gripperrods and Stikatak. Its new product-packed Underlay & Accessories Collection 2017 catalogue offers some of the most comprehensive information in the sector and is free to download from Interfloor’s website www.interfloor.com.